In the fall of 1956 Old Orange Presbytery gathered a group of churches and pastors to address the anticipated growth on this side of Greensboro. After gathering data and attending meetings, the real work began. A sign was put up on the lawn, saying that a church was going to be organized to meet on that very site. On May 26, 1957, a group of disciples gathered for a worship service at Starmount Presbyterian. Songs were sung, scripture was read and proclaimed, and the charter for Faith Presbyterian Church was signed. Fifty-one people signed on that day. On December 1, Dr. John Womeldorf preached his first sermon as pastor. We would love the opportunity to tell you stories about God's work in this place - stories about a sanctuary constructed here on West Friendly, a sanctuary soon filled to capacity with families moving to this part of town. About the fields and farms that dotted this community slowly turning into retirement communities, apartment complexes, and industrial parks heading out towards the airport. About financing the education building with bonds - burning them in a trash can in the yard when they were paid off. These were stories filled with new families coming in, children growing, everyone learning and worshipping together. Everything hasn't been perfect, but we have, through it all, worked to be faithful. Dr. Womeldorf was followed by Rev. William Brown (1960-65), Rev. David Mullen (1965-68), and the Rev. Coy Bovender (1968-79). He was succeeded by Dr. Phil Gehman (1979-85), Rev. Robert Lee (1986-93), Rev. Mary McNeal (1995-2002), and the Rev. Chris Tuttle (2003-2008). Rev. Larry Avent served as Interim Pastor until Rev. John W. Johnson was called and began his work in February of 2010. In 2013, Rev. William T. Hamilton was called to serve as Interim Pastor. In our newest chapter, Rev. Karen Ware Jackson was called to begin her ministry in August 2014. We are excited to have her join our proud tradition of gifted pastors! We hope you will come and let us get to know you. We are a committed community of slightly over 100 disciples, growing bit by bit. We are proud of the quality of our worship, the ways we care for each other, the fellowship we share, the conversations about faith, the ways we are challenged to go out into the world to serve the hungry and the hurting. Spend some time looking through this website . . . look at a bulletin, listen to a recent sermon, or read one of our newsletters, investigate ways you can be nourished so that you may go out and serve. Our statement of values below tells you more about who we are. Please contact us with any questions you may have! 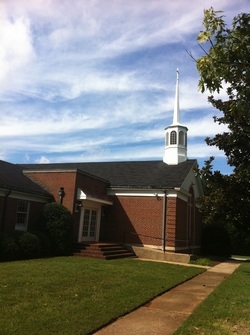 Faith Presbyterian is a congregation of the Presbyterian Church (U.S.A.) and is a member of Salem Presbytery. Faith is a part of the reformed family of churches, and enthusiastically endorses the Great Ends of the Church, which are: the proclamation of the gospel for the salvation of humankind; the shelter, nurture, and spiritual fellowship of the children of God; the maintenance of divine worship; the preservation of the truth; the proclamation of social righteousness; and the exhibition of the Kingdom of Heaven to the world.